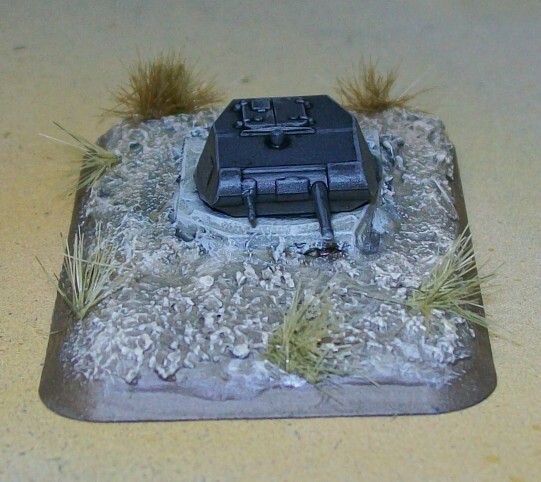 Required turret bunker. Why not pick the cheapy...over the Panther...? 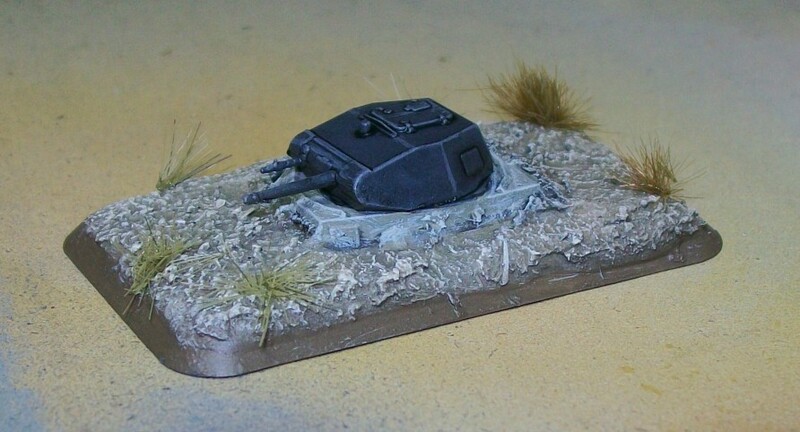 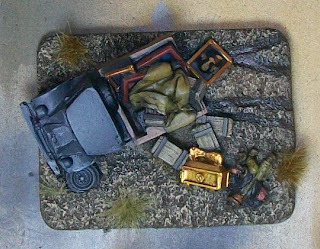 Panzer II turret bunker made from a cheap plastic kit, polyfilla, textured gel, and tufts. 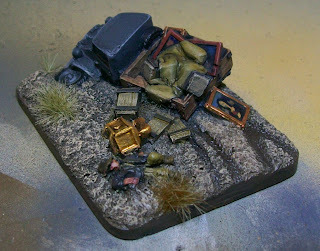 Limited edition Kerr and King objective marker. Need cheap smoke deployed at the start of the game? HQ mortars. 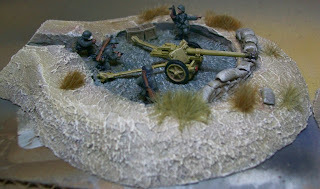 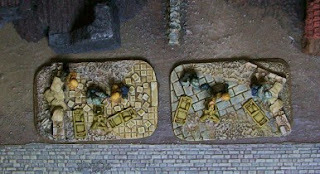 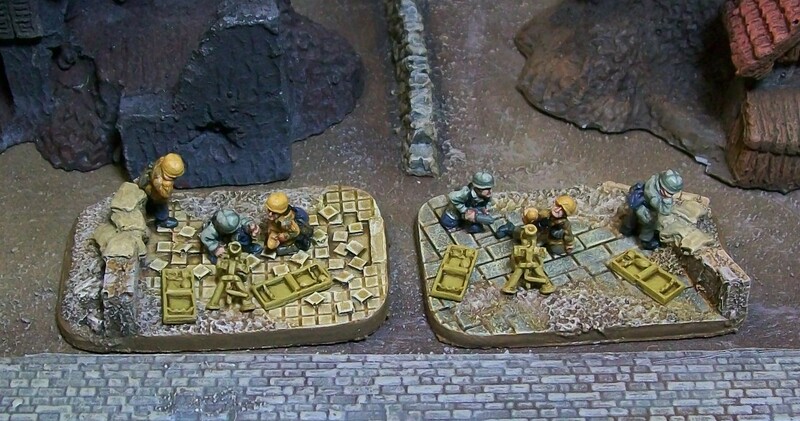 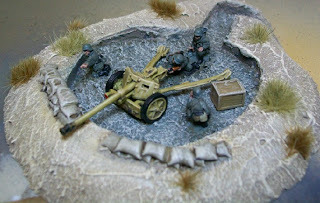 HQ Mortars on Kerr and King gun team bases.